Carmina is a 58 year old lady who runs a grocery store in Seville. The store gets robbed several times, but the insurance company refuses to cover the damages. As a consequence of this, Carmina plans a way to recover the money lost in order to maintain the economic stability of her family. While she waits for the outcome of her plan, she finds herself reminiscing in the kitchen about the miracles in her life and deeds. 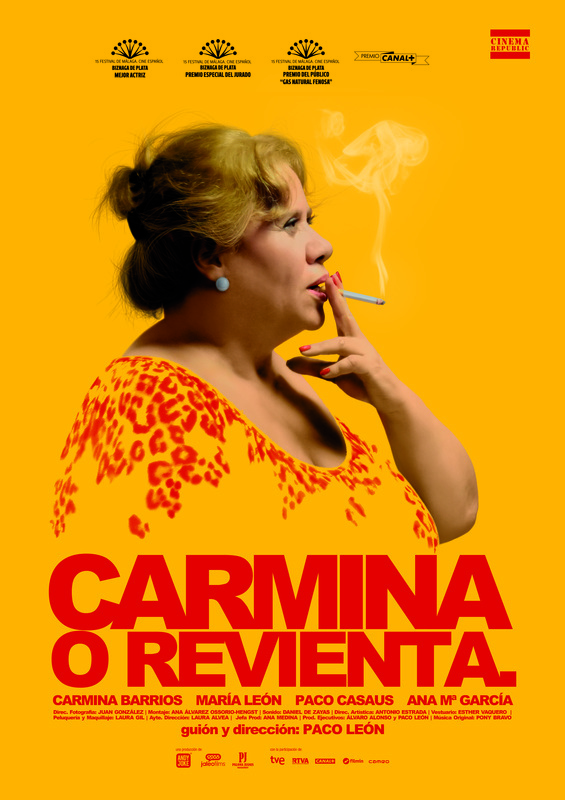 Paco León makes his cinematic directorial debut with CARMINA o REVIENTA, a project for which he has worked for several years. It is not the first time the actor sits on the director´s chair. Last year he directed "The Hole", a cabaret that keeps on reaping success at the Häagen-Dazs Theater in Madrid; were he also worked as screenwriter and associate producer. In the movie industry he has also worked in "Ácaros" (Cuatro), a series that he directed and produced and "Con lengua", a short movie that he produced and acted in. Throughout his career as an actor Paco has won three "Fotogramas de Plata", an award from the Union of Actors, two Golden TP , three Awards from the Television Academy and an "Ondas" Award.